Church of Jesus Christ of Latter-day Saints, Record of Members Collection. CR 375 8, box 4257, folder 1, image 434. Church History Library, Salt Lake City, Utah. Magee, Flanders. United States World War I Draft Registration Cards, 1917-1918. Lexie Precinct, Mississippi. Washington D. C.: National Archives and Records Administration. Family History Library, microfilm 1,683,990. Church of Jesus Christ of Latter-day Saints, Salt Lake City, Utah. Church of Jesus Christ of Latter-day Saints, Record of Members Collection, CR 375 8, box 4256, folder 1, image 246 and 451, Church History Library, Salt Lake City, Utah; United States Census, 1910, Pike County, Mississippi; Freda Lucretia Magee Beaulieu, address, 1982 January 16, p. 2, MS 6938, Church History Library, Church of Jesus Christ of Latter-day Saints, Salt Lake City, Utah; Ernest Koepsel, Early Mormon Missionaries database, Church of Jesus Christ of Latter-day Saints. John W. Gregory, Early Mormon Missionaries database, Church of Jesus Christ of Latter-day Saints. Flanders Magee, United States World War I Draft Registration Cards, 1917-1918. Lexie Precinct, Mississippi (Washington D. C.: National Archives and Records Administration), Family History Library, microfilm 1,683,990. Church of Jesus Christ of Latter-day Saints, Salt Lake City, Utah. 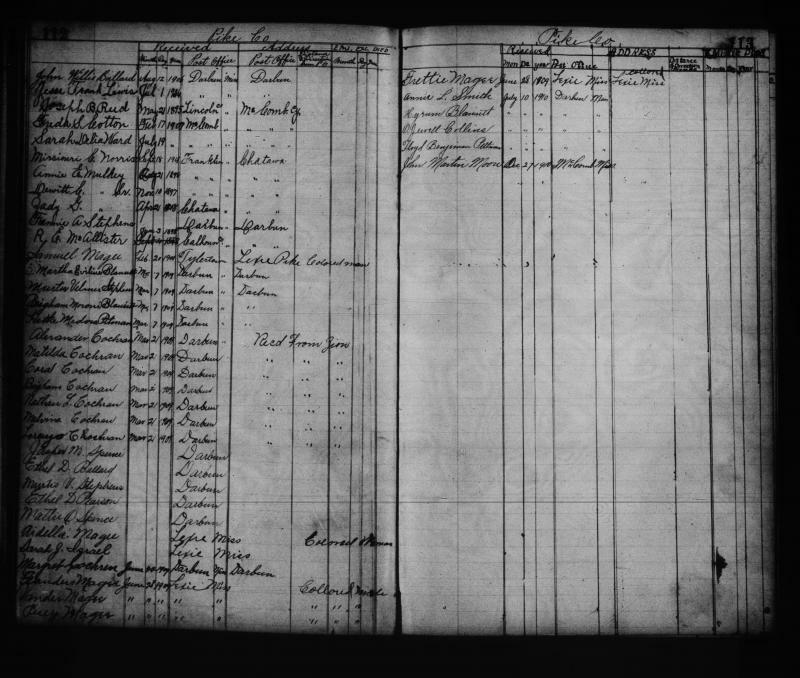 United States, Census, 1920, 1930, 1940, Tylertown, Walthall County, Mississippi; Church of Jesus Christ of Latter-day Saints, Record of Members Collection. CR 375 8, box 4257, folder 1, image 434, Church History Library, Salt Lake City, Utah.